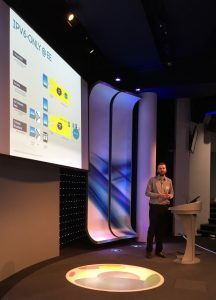 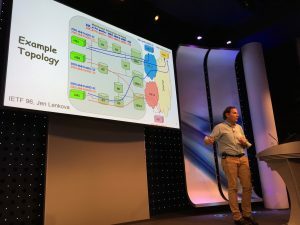 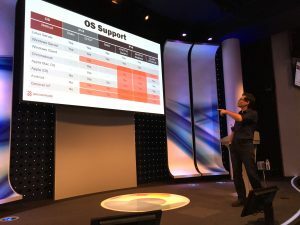 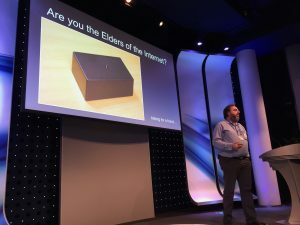 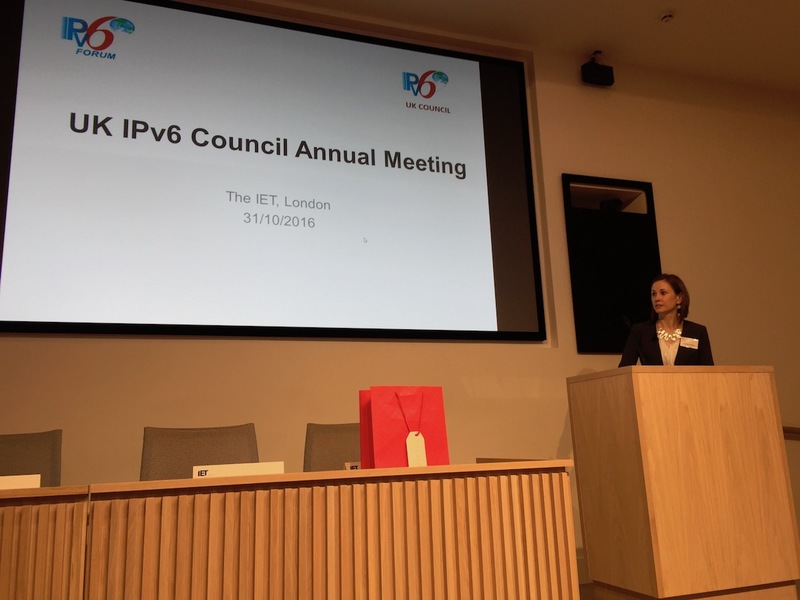 The Council held an afternoon workshop on IPv6 transition technologies in the Huxley Building at Imperial College London on 25 September 2018. 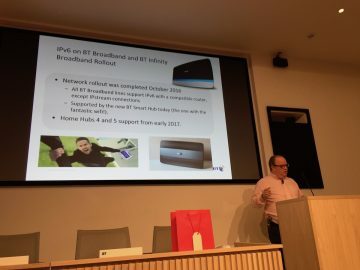 The event was attended by over 30 people, and featured a lot of good discussion during and after the meeting. 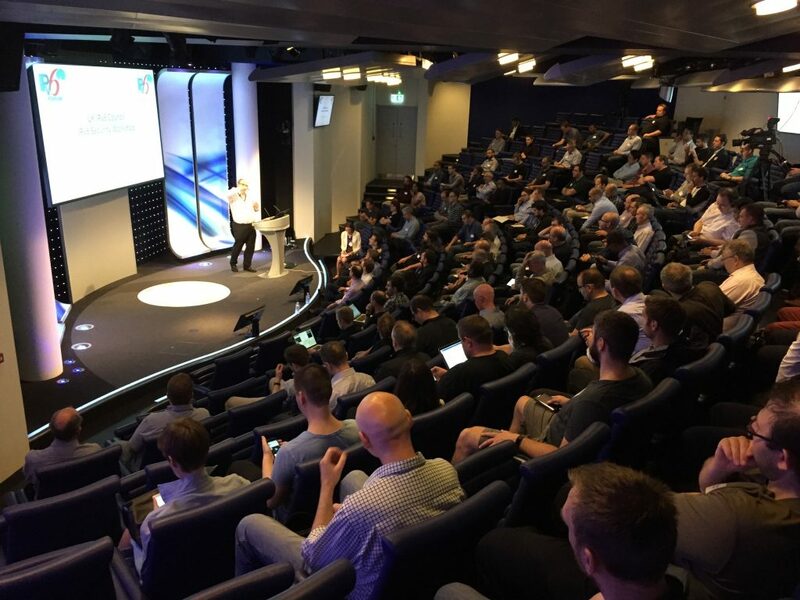 Our thanks to Imperial for providing the venue and refreshments. Our IPv6 Security workshop was held on Wednesday 12th July 2017. BT kindly offered their BT Centre venue in London for the workshop, and provided refreshments. 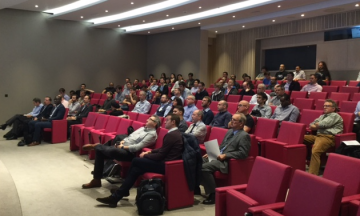 Over 120 people attended, enjoying the presentations, networking opportunities and vibrant discussion. 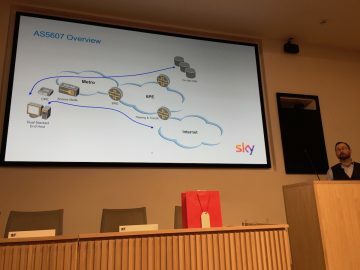 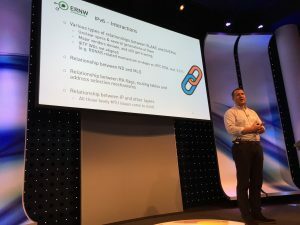 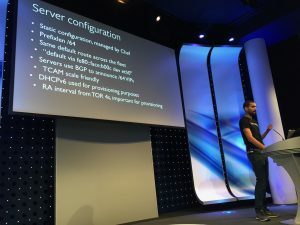 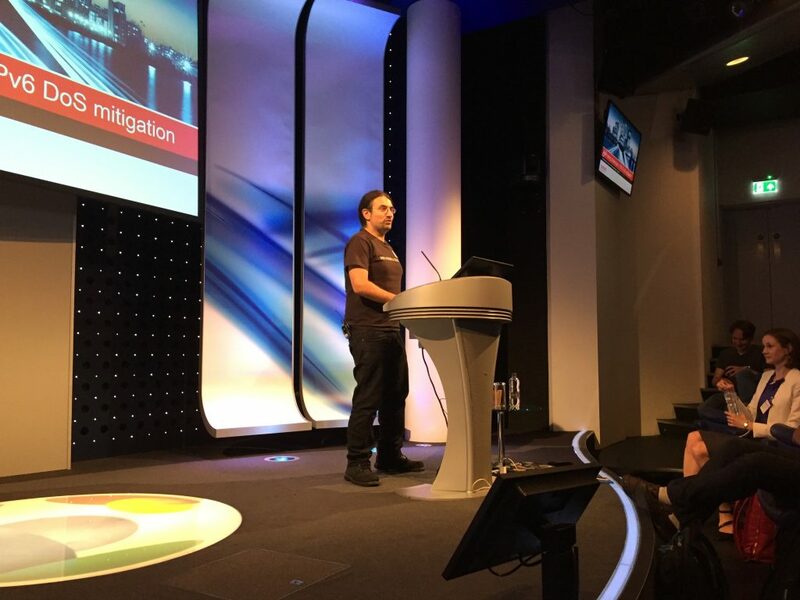 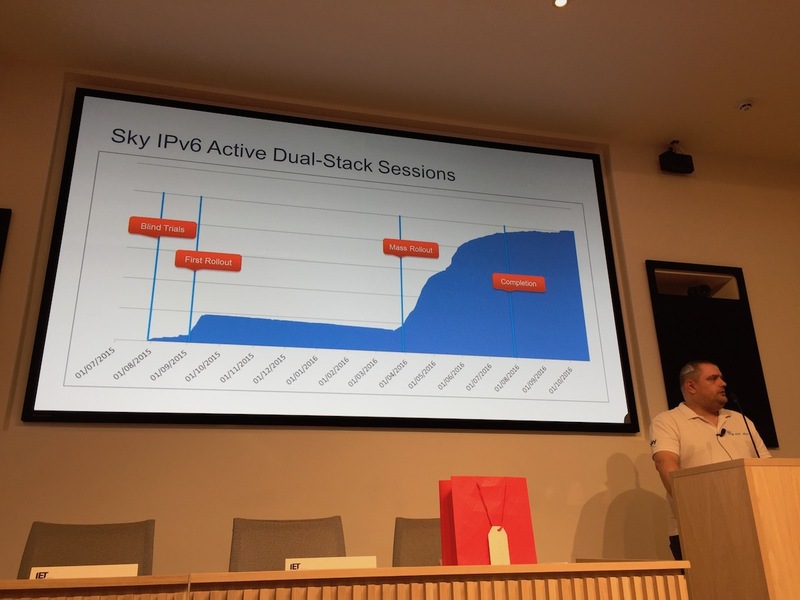 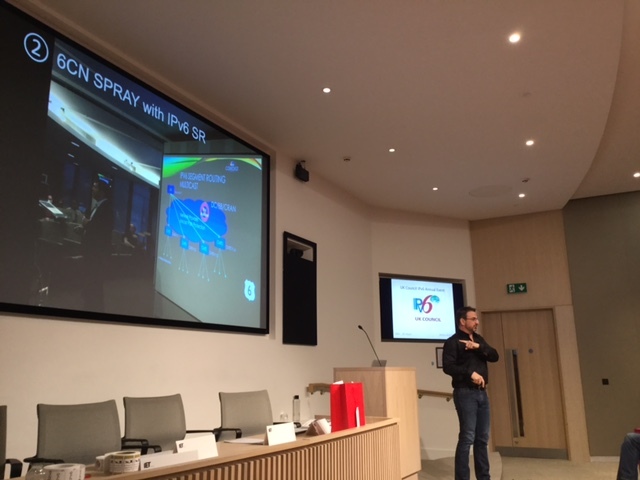 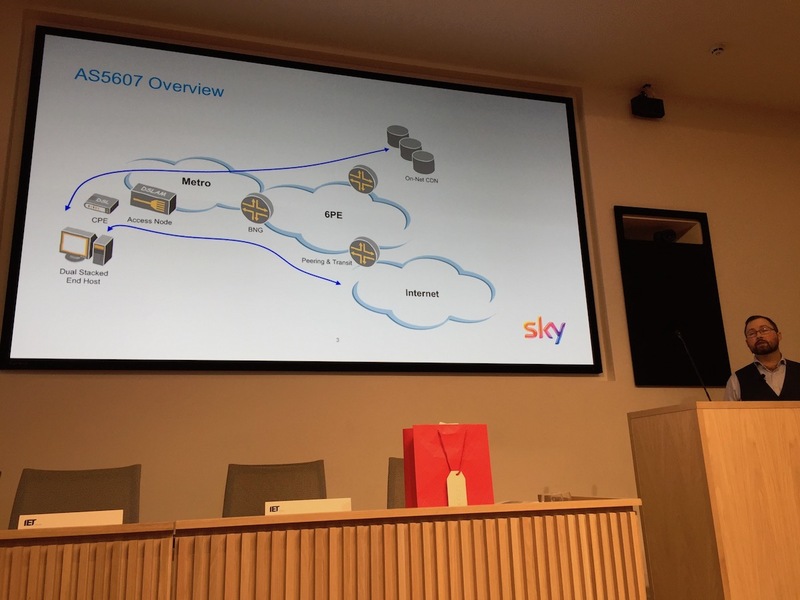 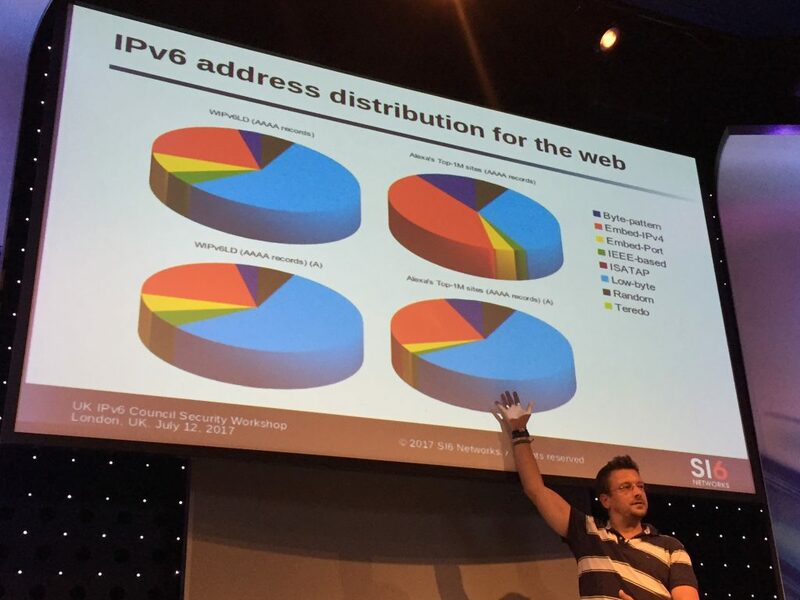 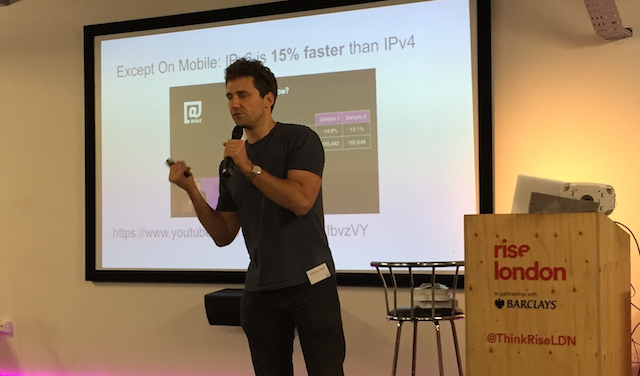 The UK IPv6 Council held an applications workshop at Rise London on 2nd June 2016. 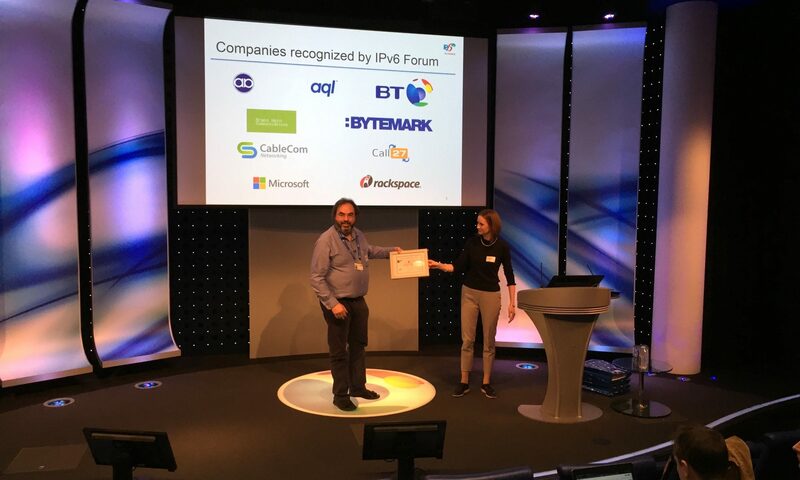 The event was attended by application developers from commercial, industry and academic companies and organisations. 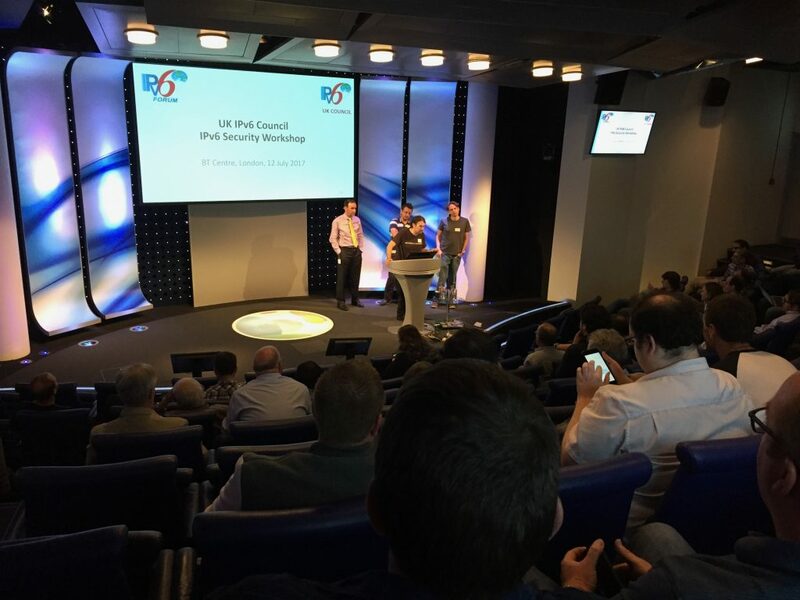 Our thanks to IET TV for producing the videos. You can register to attend our events by watching for event announcements here or via our LinkedIn page. 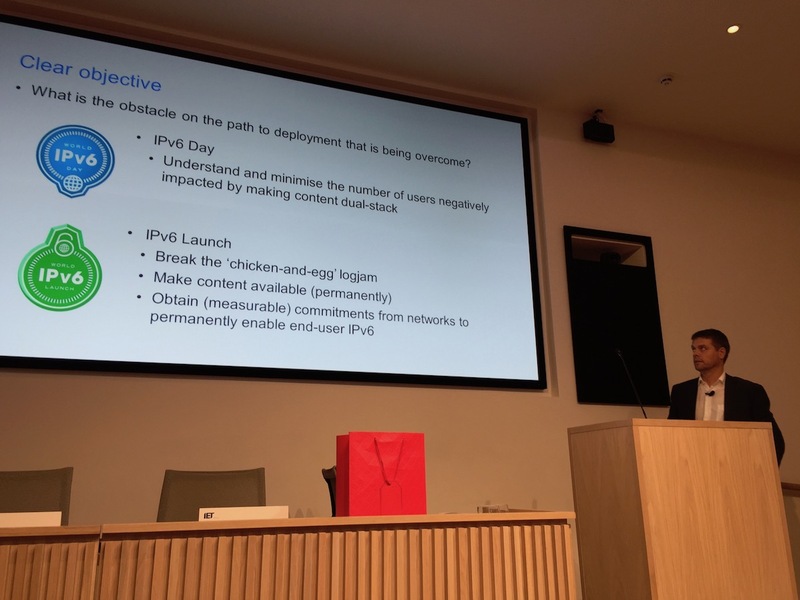 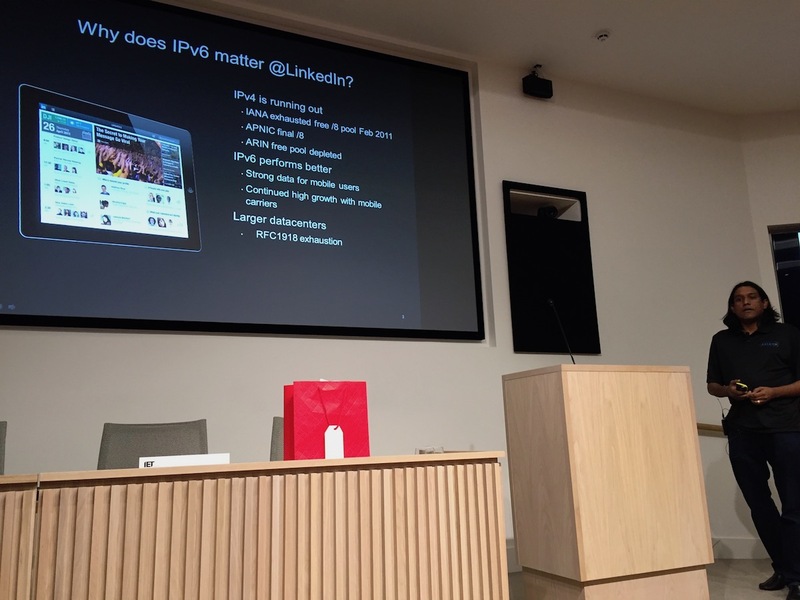 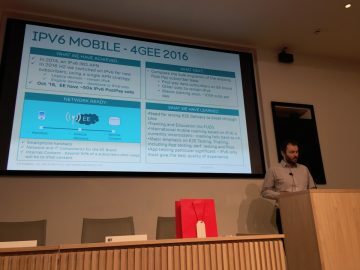 The Fourth UK IPv6 Council roundtable meeting was held at the IET in London on 20th April 2016. 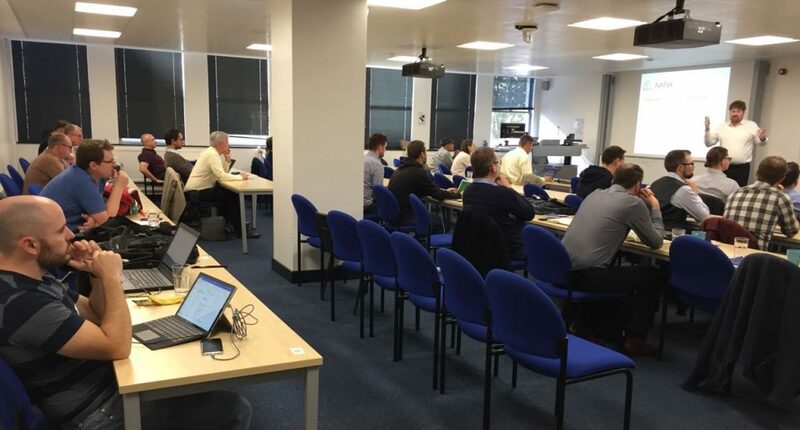 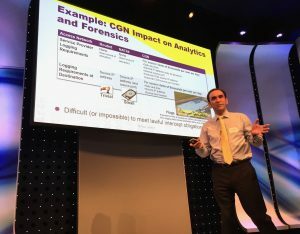 The event was attended by a mixture of people from commercial, industry and academic companies and organisations.